One of the perks of living in southeastern Europe is the opportunity to easily visit a number of interesting places. This past weekend I traveled with some friends to Greece for a couple of days. 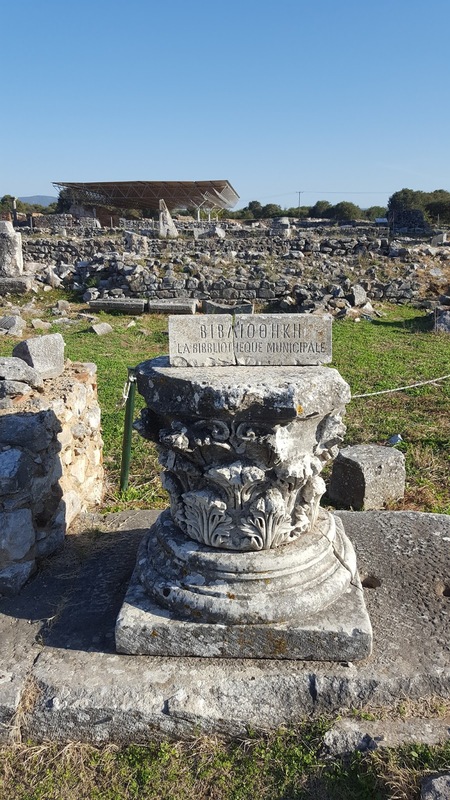 While we stayed at a seaside hotel in Thessaloniki, we spent our first day tromping around the ancient city of Philippi. I decided to recount my experience for my readers. Today is part one of a two-part post. 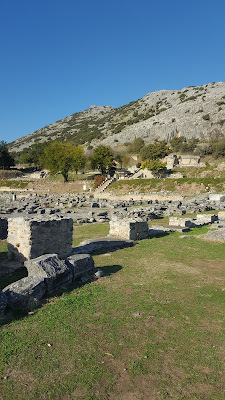 Today I’m sharing the pictures of Philippi. You’ll remember the apostle Paul preached the gospel in Philippi. He visited the city several times. The city is an active archeological site. Our first glimpse of the dig was a large stone wall. Past the wall is the theater. There was a school group on a field trip there the day we visited. I doubt they appreciated the ruins as much as I did. Before we walked the alleyways and explored the city, four of us took on the challenge to climb the mountain to the fortress looming above. The views were beautiful. I couldn’t help but think of how Tom would have enjoyed the construction of the stone fortress and the hike to get there. As we descended we could see the ruins spread out before us. The Roman road, Via Egnatia, constructed in the 2nd century BC crossed several provinces of the Roman Empire. Paul traveled this road. Amazing. The Doorframe gives you an idea of the size of the buildings. Obviously, for the Romans "Bigger is Better." Archeologists have dug up some earthen pots that are virtually intact. The city had been attacked several times. It was greatly damaged and abandoned. Eventually it was completely destroyed by an earthquake. The ancient Roman community had toilets and a septic system. The men would congregate at the toilet in the morning and conduct business. Maybe that's where the term "taking care of business" comes from. I’m told wealthy men sent slaves ahead of them to sit on the toilet to warm the stone seat for them before they got there. The city boasted a library. All that seems to be left of it though is the stone sign. I loved strolling past the marketplace. The stone stalls still stand (say that five times fast) and it is easy to imagine the hustle and bustle of every day life along this side of the town. There were many places along the way where I stood in awe of the place only knew before through biblical accounts. It proved to be the sort of experience that makes you catch your breath and threatens to bring tears to your eyes. A place a wonder. I stood on the stone floor of what was likely a home. I couldn’t help but imagine Paul or Silas standing in that very spot thinking of all that was, all that is, and all that could be in the sunny Greek city of Philippi. Look across the city and up the hill. Far away you will see the fortress! Join me as I spend these next months in Kosova (the Albanian pronunciation for Kosovo) in Southeastern Europe. Each week I’ll share my experiences. Leave your comments and questions below. I’ll try to address each as best I can. Here in Kosovo we are experiencing what we call in Ohio an “Indian Summer.” The days are filled with sunshine as if shining brighter could push autumn back a few weeks. Last Sunday I took the bus into Prishtina for church. I’ve had the privilege to meet with some wonderful people there. As the day was so beautiful and I had no agenda, I headed out after our gathering for a stroll along Mother Teresa Boulevard. Many of the locals refer to this as “the walking street.” It is named after the Albanian nun who served the world by serving people in India. Mother Teresa was born in Skopja. The city, once part of the Kosovo province, is now the capitol of Macedonia, a few kilometers away. The boulevard is lined with outdoor cafés, street vendors, bookshops, and storefronts. A few five star hotels call the street their home as well. I enjoyed an ice cream cone (in honor of my mother) and found myself tempted by the chestnuts roasting at stands along the way. The aroma was delicious and inviting. A few local farmers set up tables with the last of their raspberry crop for sale as well as a few blueberries. Many families were in the street, taking in the last rays of sunshine before the sure to come colder weather is upon us. Children played in the fountains or rode the battery-powered cars on the stone pavers making up the boulevard. There is something comforting to be found in the laughter of children. As the day winds down, the vendors string lights. People gather for a cup of coffee or buy a spiral cut fried potato on a stick. The community takes on the air of a carnival. I ducked into a shop that sells home goods and found a sugar bowl for my flat…uh…apartment. I have a guest staying with me for a few days from Wales so it seemed appropriate to have something new for her. I made my way up one side of the boulevard and down the other. It was a day to hold onto. A day to remember when the snow comes or I’m feeling lonely. A day from which to draw energy and strength for many days to come. in front of my apartment building. People have a wide range of ideas about what it is like to live in a small country like Kosovo. Actually, I’m quite sure most of the people I know in the States haven’t even heard of this European country. The few who have ask me, “Is that the place where there was a war or something?” Uh…yeah. That was in the late 1990’s. Others wonder about my safety or if I’ll starve to death or have to eat strange foods. I’ve had people ask my mother and kids why in the world I would risk everything to go to such a place. Risk everything? I don’t see my journey as a risk. I view it as an opportunity. v Attending a film premiere in Prishtina as a guest of my friend, Arijeta who happened to be the casting director for the movie. As such, she was able to cast another friend, Ruth in a supporting role. It was such a fun evening of dressing up and photo opportunities with the actors and actresses. v The school where I teach celebrated its ten-year anniversary. It was a big deal. And rightly so. Prishtina High School is a model of excellence in education with 99% of graduates continuing their education at universities throughout the world. I’ve only been here a couple of months so none of the success is due to my efforts, yet I found myself filled with joy when the large prestigious crowd gathered to celebrate the school’s success. I sat behind the Prime Minister of Kosovo who was one of the featured speakers. interviewed at the movie premiere. the Prime Minister of Kosovo. Those are incredible experiences but the real opportunities…the true experiences of living in this little country come from the people I see every day. I get to teach an amazing group of fourth graders. I get to interact with a faculty and staff who care deeply about what they do. I’m getting to know the little family that runs the market where I buy my bread, fruit and vegetables. I’m meeting new people who live near me. I’m spending time with new friends over a cup of coffee and enjoying an occasional dinner with people I’ve actually known for over twenty-five years. The real opportunities are right out my front door and I want to make the most of every one of them while I’m here. By the way, I found a terrific post about Kosovo on a travel blog. Check it out HERE to see what I see! One of my hesitations about moving overseas was the fact I have a problem with my right knee. I have to get a cortisone shot in it every three months. I was assured I could get the shot in Kosovo. Or, if I wanted a little side trip, the shot is also available in Greece. I considered Greece. It sounded like fun. However, as the date approached, the logistics wouldn’t work out. I had a short time frame to get that much needed shot. I decided to stay in town. Caleb, a colleague from school made the appointment for me for Saturday morning. We arrive on time at the hospital to meet the orthopedic doctor. The facility is clean and nice and the people at the reception are friendly. It is what we in the States would think of as a medical center but I’m told it is actually a private hospital. There is no wait time. Okay...that's cool. Then the doctor reviews my paperwork and asks me if I have the drugs. It turns out in Kosovo, if you go to the doctor for anything, including going into the hospital for surgery, you or your family has to go to the pharmacy and pick up the meds to be administered. Yep...didn't know that one. The doctor’s office has 40mg of what I need available and my prescription calls for 80. I ask if he can give me two shots. He's worried about possible infection if he uses two needles in the same site. I’m so glad my friend Arijeta with me. She is interpreting his Albanian into English for me. We leave and drive all over the city looking for 80mg of the drug. No luck. 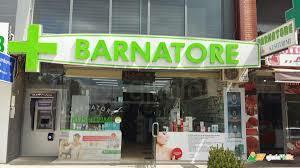 It is a drug produced in Serbia so we are finally informed there is a Barnatore (pharmacy) in a Serbian town nearby with a name I can't pronounce. They may have it. Yep, a Serbian town in Kosovo complete with Serbian flags, language and everything. It is a fifteen-minute drive from Prishtina. Undaunted, Arijeta drives me there. It turns out Arijeta is fluent in Serbian as well. It seems there's a pharmacy on every corner. The Serbian pharmacy doesn't have it either but can order it for us and maybe have it Monday. Or Tuesday. Or sometime next week. I'm ready to cry. Arijeta is too. I can tell. Arijeta calls the doctor’s office back to tell them we can’t find the drug. She asks for direction on what we should do. It turns out the doctor is in surgery and will need to call us back. It has been a long morning so Arijeta and I take the logical next step. We go to the mall and self medicate with KFC. Yes, it turns out the colonel is in town and it is delicious. It tastes like home. The receptionist at the doctor’s office returns the call while we are finishing up our fries. She tells us to return to their office. My doctor and his colleagues have discussed the problem. They have decided on a plan to inject one of the ampules in my knee, leave the needle in and attach the second ampule. The three doctors hover around as my doctor makes the injection. Arijeta is reluctant to watch so she interprets for me from across the room. Meanwhile, I sit on the examining table praying silently through it all. I’m a little scared. This may not be like it was when my doctor in the States did it. What if I pass out? What if…? I know I can go down a long list of “what ifs” but what good will it do? I decide to simply pray and trust this will all work out. Because "Everybody needs a little KFC!" And it did. It felt like it did in the States. It didn't hurt any more or any less and it seems to be working. Before I leave, the doctor assures me he will have the drugs ready for me in December. I smile and say, “Faleminderit.” At least I know how to thank the man in Albanian. Arijeta and I make our way to the receptionist. There is the bill to pay. From experience I know paying the bill is usually the most painful part of any medical procedure. I have insurance through the school where I teach. I approach the receptionist, still not altogether sure they will accept my insurance. I brought my Visa card in case, but I’m hoping I have enough cash on me to take care of the bill. I’m carrying all I have. At home I pay the $20 copay up front before I ever see the doctor and after the insurance is billed and pay their part I still have to pay $65 or so for the shot. Here it is a little different. The office accepts my local insurance card and I pay the balance. Five Euros and 40 Cents. Yes you read that right: $5.40. Not bad. Well, there was all that gas we wasted… or was it a waste? I spent time getting to know Arijeta better, indulged in a little Kentucky fried, visited a town I didn’t know existed, came home with a whole new perspective on health care, and I can walk without a limp. All-in-all it was a great day!